Lubrication is imperative to make moving parts of a gun operate with less friction. A firearm, even when dirty, can function well as long as it is properly lubricated. However, it is wise to keep in mind that lubrication can be removed over time even if a gun is kept in the locker or other types of storage. Other factors that lessen the amount of lubrication includes snow, heavy rain fall, blizzards, heat in the desert, super level of humidity, and obviously, frequency of use. Length of time is also a factor, as lubrication may evaporate after a few months. This is when a good gun cleaning kit comes in handy. Carrying one wherever you go ensures that your gun stays lubricated and free from obstructions in the barrel or rifle. This kit will help you out, since you cannot predict when emergency is going to happen. Below are some of the top choices to consider, assuming that you’re in the lookout for the best gun cleaning accessory kit. 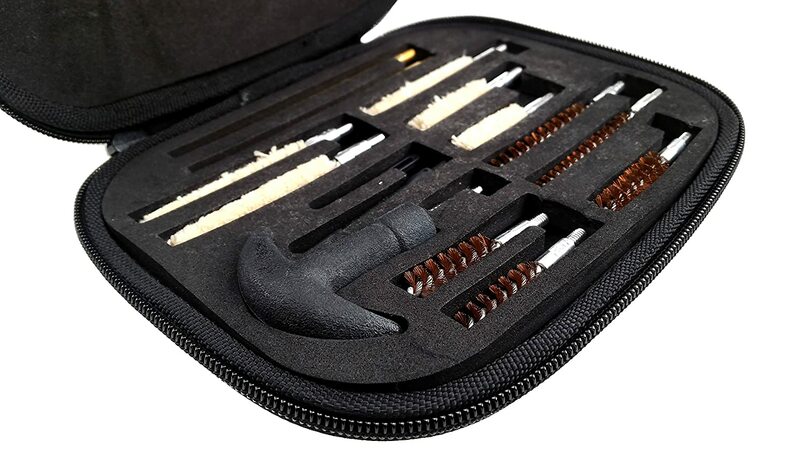 This gun cleaning kit includes 3 pieces of aluminum cleaning rod, 9 phosphor bronze brushes, 5 swabs, and 5 slotted ends. The cleaning accessories adapt both pistol and shotgun. The universal cleaning kit can clean most 7mm, 9mm, and 10mm weapons. 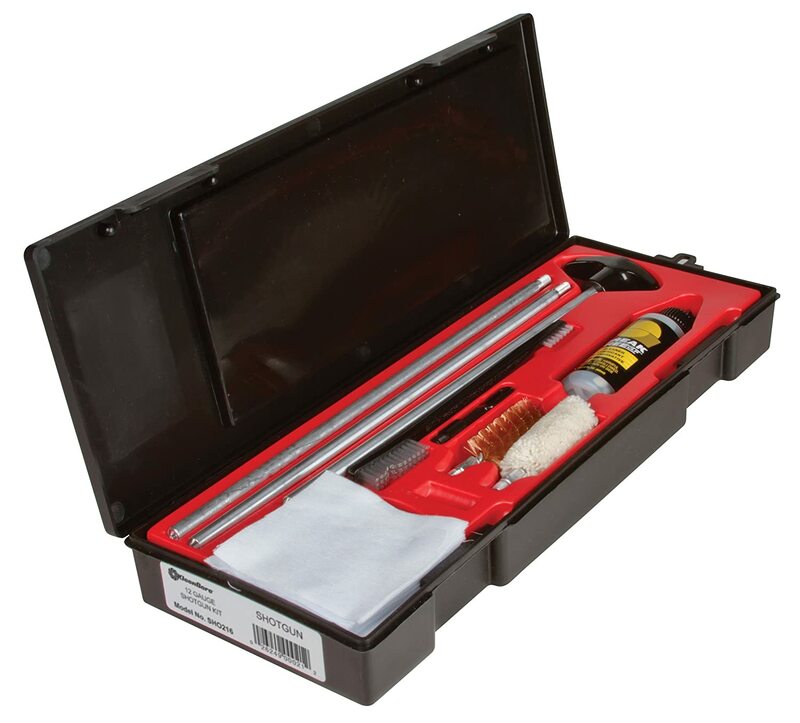 This 25-piece gun cleaning kit offers professional cleaning right at the comfort of your home. Offered in a classic aged-oak finish in the exterior, it contains several universal components, allowing you to clean just about any firearms in your possession. Some of the cleaning tools it houses solid and strong brass rods, mops, brushes, and reliable cleaning chemicals. The box-shaped organizer provides convenient and systematic safekeeping of your tools so you won’t miss a little tool again. Ideal for handguns with .38, .357, .40, .41, .44, and .45 caliber, this little cleaning kit can do so much for your weapon. Kleenbore has a good reputation on providing quality products, bringing innovation to the gun cleaning products market. The Classic Handgun Cleaning Kit comes in a little but organized black box. Inside the box lies a red try, which neatly houses the cleaning tools inside. 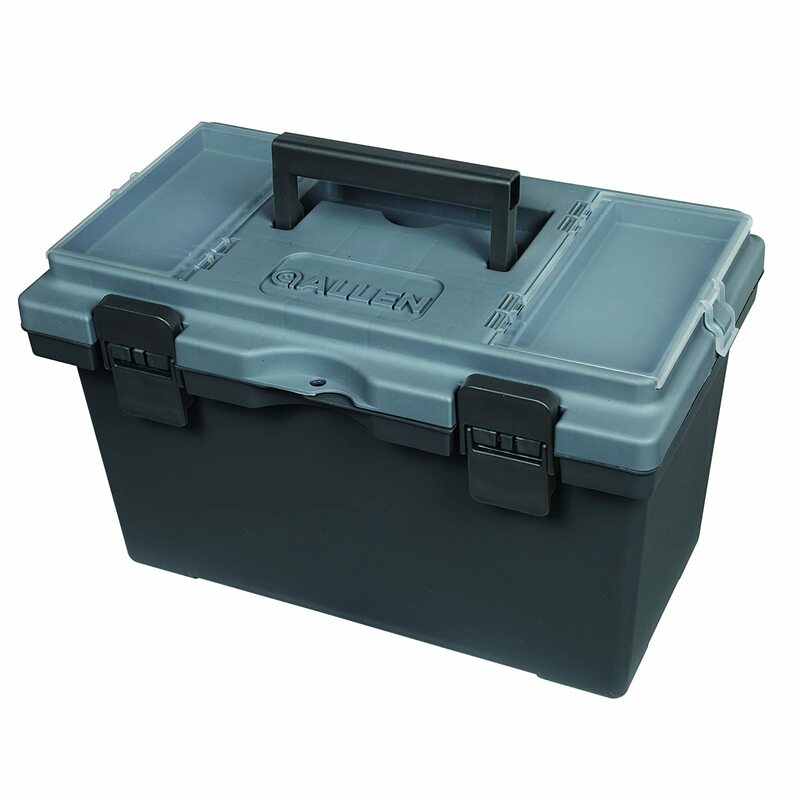 This case is reusable, rugged and made from sturdy polypropylene. The kit contains a smooth, high quality steel rod with rotating handles, a plastic muzzle guard, a 3-ounce gun conditioner, silicone gun, nylon brush with double ends, reel cloth, and cotton patches. 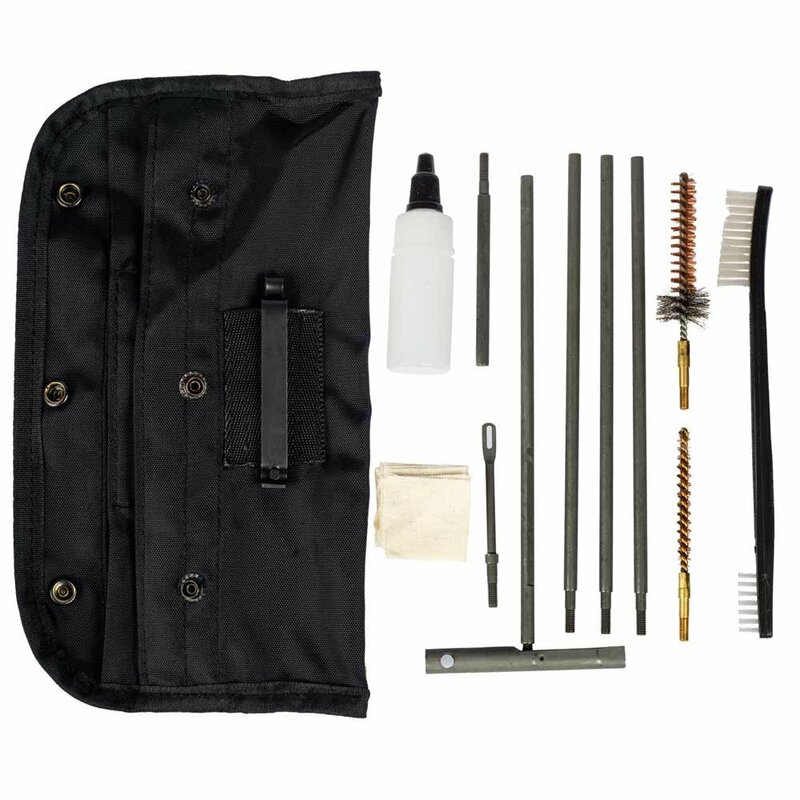 Available in black and tan colors, this basic gun cleaning kit contains steel rods, T-handle, and Alice clips enclosed in a rugged nylon pouch. Users from around the globe liked this item for being a good value for the price, useful, and having everything a gun owner needs. The Wydan Gun Cleaning Kit is designed to clean most caliber hand guns such as .22, .357, .38, .40, .44, and .45. Among the cleaning tools it possesses include 2 10-inch brass rods with handle (all engraved with appropriate size to not confuse the user), brushes for every handgun caliber, patches, slotted tips, and swabs. All of these are kept systematically inside a black compact carrying case. Yet another entry from Kleenbore is the Gun Care Accessories with Cleaning Kit. 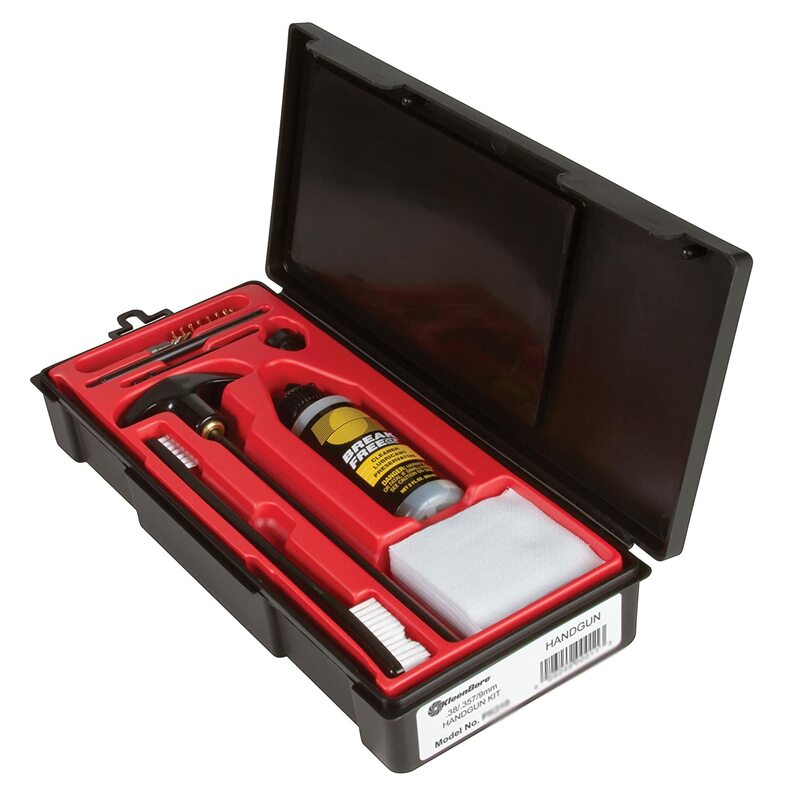 Available in 12 and 20 gauges, this kit comes in a solid black case. Inside houses the many cleaning tools you need, including gun conditioner, steel rods, cotton patches, and more. 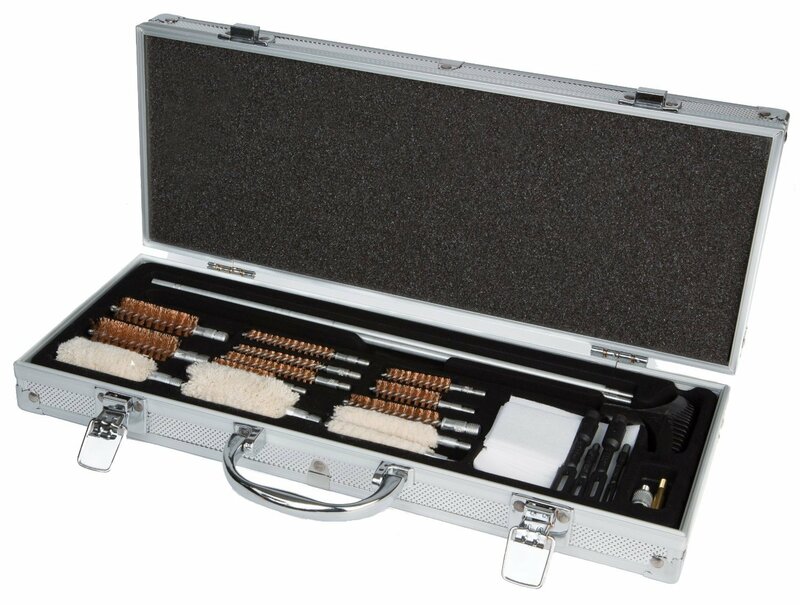 The thing about this kit is that the tools do not mix altogether inside the case. They are organized in a red tray, which can be reused when you need to store your cleaning kit in a safe place. Allen Company prides itself for launching a gun cleaning kit that showcases quality, durability, toughness, comfort, and superb performance. 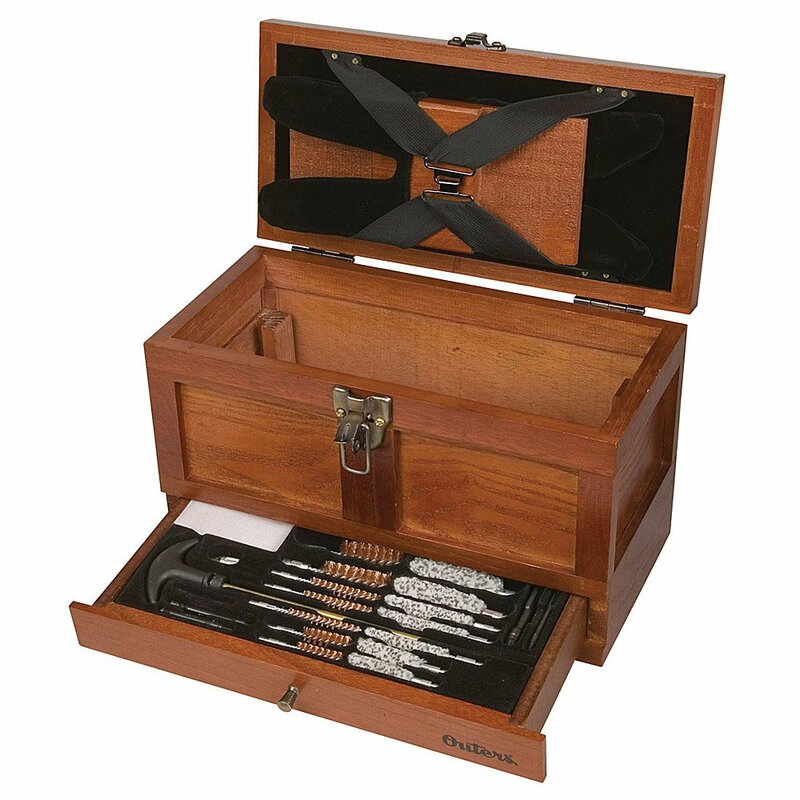 Inside the tool box-style organizer are flexible cleaning tools, such as bronze brushes, plastic slotted tips, a 3-piece brush and pick set, cotton swabs, cotton patches, cleaning cloths, and brass jags. Cleaning tools are compatible for shotguns, pistols, rifles, and even muzzle loaders. There you have some of our favorites when it comes to gun cleaning kits. Keep in mind that while searching for the best 9mm pistol, you must purchase a good gun cleaning kit so as to keep your big-boy toy looking new and in working condition. Take it anywhere with you – at the firing range, at work, or at home. You’ll never know when you’d badly need one!